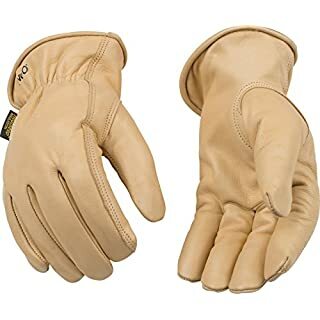 Large, Men's Premium Grain Deerskin Leather Glove, Soft, Golden Leather Palm, Black Spandex Backing, Heatkeep Thermal Lined Insulation, Open Cuff, Shirred Elastic Wrist, Leather Hem Binding. 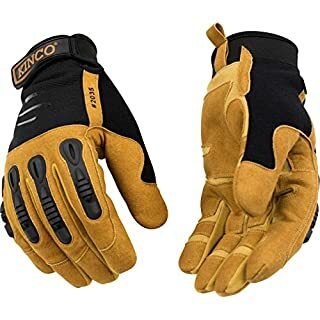 Axemen, Medium, Men's, Grain Cowhide Leather Chopper Mitten, Heatkeep Thermal Lined Insulation, Wing Thumb, Shirred Elastic Wrist. 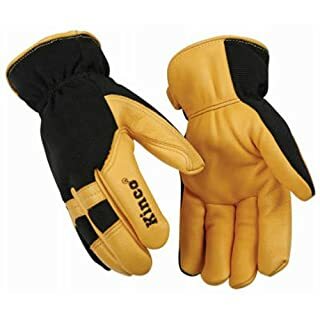 KINCO INTERNATIONAL TB524ETM Supple Grain Pigskin Leather Palm & Thumb Glove, Medium, Black & Tan, Wing Thumb, 2-1/2" Safety Cuff. 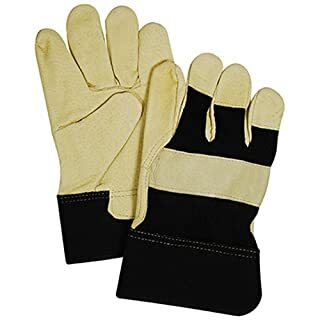 Medium, black & tan, tough, supple grain pigskin leather Palm & thumb glove, gunn cut, wing thumb, 2-1/2 inch safety cuff. 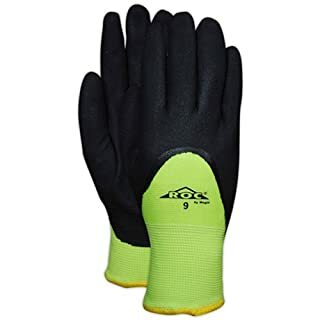 MiraX2 synthetic leather; silicone fingertips for added grip; stretchable green nylon fabric back; Shirred elastic wrist; Snap keeps gloves together when not in use. 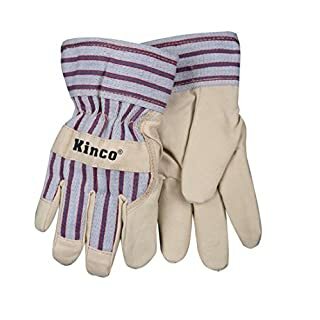 Kinco International is a second generation family owned company which manufactures and sells quality lined, unlined, cut resistant, coated, and disposable gloves. 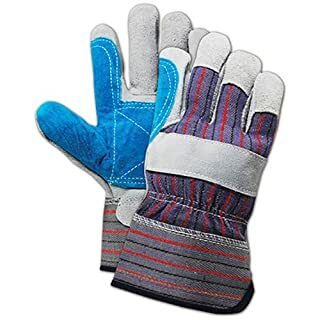 Our team is a dedicated, hard working, and passionate group that strives to not only to maintain quality and innovation in our gloves, but also to provide the best possible customer experience. 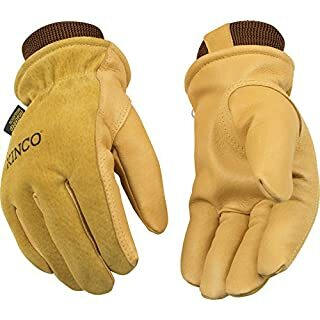 Large, Gray, Durable Split Leather Glove, With Double Layer Palm, Index Finger & Thumb, Gunn Cut, Wing Thumb, 2-1/2" Safety Cuff. 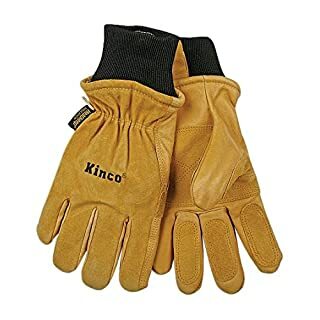 Large, Men's, Lined, Full Grain, Cowhide Leather Glove, Light, Golden Color, Black Thermal Lining, Keystone Thumb, Shirred Elastic Wrist, Leather Hem Binding. 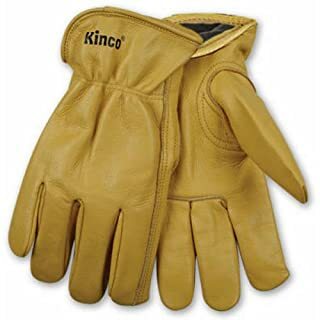 Kinco lined grain pigskin leather palm glove. 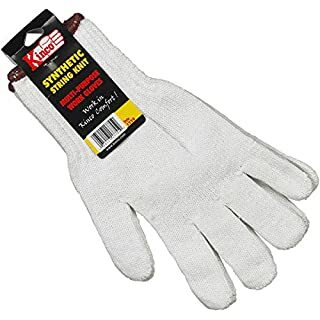 3M Scotchlite reflective material. 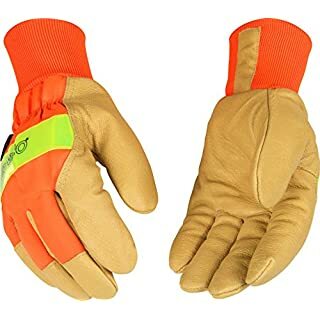 Orange nylon fabric back and safety cuff. 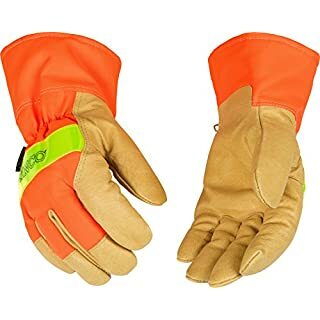 High visibility glove. Heatkeep lining. 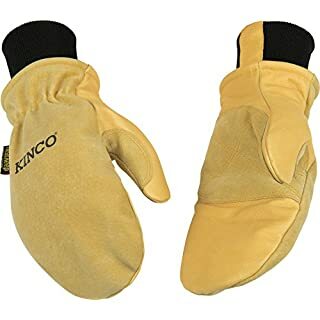 Wing thumb. Palomino color. 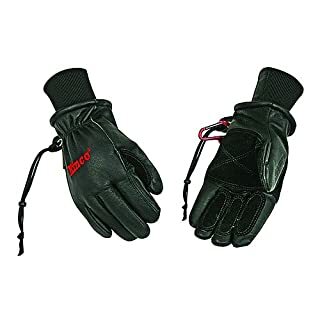 Safe and warm for cold weather. 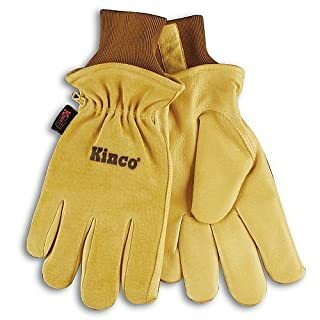 Kinco high-viz safety gloves are the choice when it's dark, cold and wet. 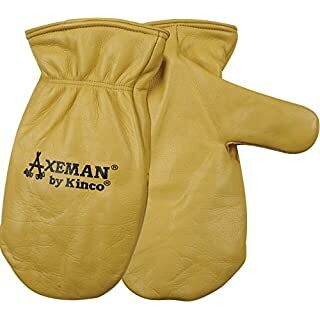 This glove really shines. 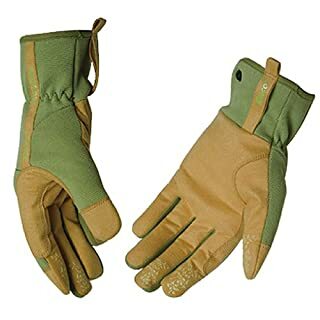 Multi-Purpose Work Gloves Cold weather pigskin leather Designed with Heatkeep Thermal Lining Style 94HK Size Small Finely spun polyester fibres create thousands of air pockets that surround the hand, trapping the heat that is being generated and repelling the cold that is coming from the outside. 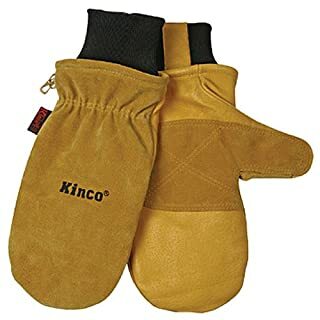 Combined with layers of nylon batting and nonabsorbent polypropylene that wicks water away from the hand, Heatkeeps lining outperforms the other leading insulators on the market today Because the insulation in this glove protects against heat as well as cold, the wearer may not notice if the glove catches fire or suffers heat damage. 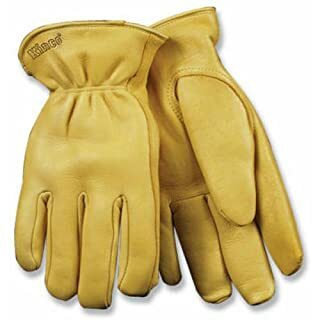 The wearer should exercise caution when near an open flame or other hazardous area.